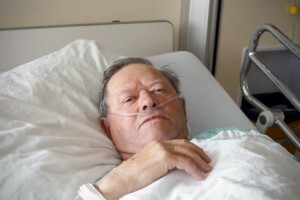 What are the best things you can do as a mesothelioma patient to get ready to leave the hospital after surgery? The transition from the hospital back to home can seem abrupt and overwhelming to you as a mesothelioma patient especially if the next steps aren’t clear. 1. See a discharge planner. Try to do this at least a day before you leave so your family, your doctor, or the hospital can arrange for monitoring or services you’ll need at home. 2. Decide if you’re ready to go home. Hospitals and insurance companies have strong financial incentives to discharge you as soon as possible. And for most mesothelioma patients, the sooner you get home the better. But if you don’t feel ready, say so. You shouldn’t go home if you feel disoriented, faint, or unsteady; have pain that’s not controlled by oral medication; or can’t keep food or drink down. If your doctor isn’t able to extend your stay, appeal to the discharge planner, the hospital’s patient advocate or, if available, a state appeals board. 3. Get a discharge summary. Ask for a clear written statement of what you should do when you get home—for example, how to care for surgical wounds, how active you should be, and when you can shower. 4. Get a discharge list of medication. Ask about drugs you started in the hospital that you should continue when you get home, including their purpose and side effects, and if you should resume or eliminate any you were taking before your admission. 5. Get late test results. Make sure your doctor has test results that were done while you were in the hospital, especially those in the 24 hours before you leave. Consider asking for copies of the results so you can give them to your doctor. Also find out what follow-up blood or imaging tests you’ll need after you leave. 6. Schedule an appointment with your doctor. It should be no more than a week after your hospital stay to check the healing of surgical wounds. If you don’t have a primary care doctor, ask the physician who oversaw your care in the hospital whom you should see.